I feel very safe. sadly, in stating based on not only this study and research by Ligonier Ministries and LifeWay Research but from my other readings, research and experiences in the Biblical times in which we live (Romans 1 along with other Biblical prophecy being fulfilled and the Great Falling Away) that being conservative in my estimate about 7 out of 10 of those professing to be “Christian” know not of what they speak or claim. They are still walking in darkness. Of dull minds. Not in the Light. Not because I say so or I’m so hard and being judgmental. Please keep in mind dear ones while reading this I write this out of concern for all of us professing the faith of God, Jesus Christ and to be Christian. I am concerned for the state of those professing to be Christian in these times. This is not written out of anger or sitting in judgment — this is written solely out of concern for the state and well-being of the professed Christian church with Christ as the Head and those professing faith in Him to be of sound and true body. This has come about from keen observation. From evidence before everyone’s eyes and ears if only they would see and hear! There is, in truth, only a remnant of genuine faithful believers on this earth. Just as there has always been from the beginning of the Church. I sincerely hope and pray that none of you here reading this are of the belief that the Holy Spirit is merely some “force” and not an individual being! That you are not among the MAJORITY OF THOSE SAYING THEY ARE EVANGELICALS (52%) who believe people are “good by nature” which clearly contradicts the word of God. That you are among the majority of evangelicals (58%) who either are unsure, somewhat agree, or strongly agree that God accepts ALL RELIGIONS NO MATTER WHAT THEY ARE! A massively disturbing and very troubling 81% of those claiming to be evangelicals are either unsure, somewhat agree, or strongly agree — and I keep writing of this group because they claim to be the most Bible literate and aware — a whopping 81% of those professing to be evangelical Christians are of the belief JESUS WAS THE FIRST AND GREATEST BEING CREATED BY GOD when taking the 3 categories in the survey (unsure, somewhat agree, strongly agree). Jesus HAS EXISTED WITH GOD THROUGH ALL ETERNITY AND IS NOT A CREATED BEING!!! I hope and pray, I sincerely hope and pray — and do so daily, nightly — that all those professing to be of the faith? To be Christian? Have the scales removed from their eyes. 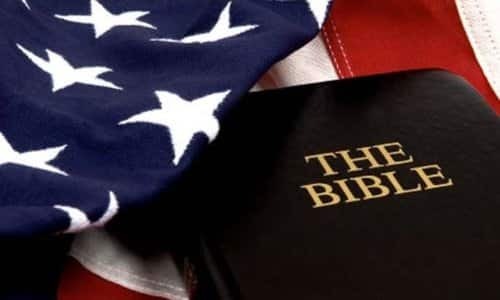 That we all turn to the Bible for TRUTH and INSTRUCTION and SOUND DOCTRINE and turn away from all the heretical false teachings which dominate the professed church today. No wonder it is put forth in the word of God that when Jesu returns will a righteous person be found on earth? For at this very time, this very day easily 7 out of 10 — 70% of those claiming to be Christ’s? Claiming to be His disciples? To be of God’s chosen people? The elect? They know not what they say and are following unsound doctrine, wolves in sheep’s clothing with their itching ears and worldliness. I pray we all repent and turn truly to God, Jesus, the Holy Spirit and the inerrant word of God. I received some flak a long time ago from a frequent visitor to A Crooked Path that I needed to stop writing “the inerrant word of God,” because “everyone knew that already” and I was being redundant and writing unnecessary words. Apparently not according to the facts. The truth of the state of theology this day. Here’s an idea — open your Bible’s!!! Actually read and STUDY THEM!!! Open your Bibles and PRAY while opening and studying them that God and the INDIVIDUAL BEING of the Holy Spirit give you SPIRITUAL DISCERNMENT, SPIRITUAL WISDOM (James 1:5), SPIRITUAL KNOWLEDGE of God’s word and you desire and are filled with SOUND DOCTRINE! Turn the TV off. Put your mobile phone down and turn if off. Pause. Think. Really pause. Really think. Let all of us begin to use the minds that God gave us. Forget pleasing your children and making sure they go to their soccer, sports games, or events on Sundays and find a sound, Bible teaching church with a man of God pastor / preacher and pray for him to remain faithful to the word and support that church — belong to that true church. Begin reading SOUND SCRIPTURE THEOLOGY — and do not gravitate to the worldly false teachers of this apostate Great Falling Away age writing that which pleases you, agrees with your worldly heretical beliefs. Go to the Truth For Life link found here on A Crooked Path on the right hand sidebar on the Home Page, or click on this link Truth For Life and begin searching their website for audio sermons, books, and other media to begin building a foundation on SOUND DOCTRINES and TRUE BIBLE THEOLOGY for A CHRISTIAN WALK on the straight path towards the narrow gate where few will enter. Here are just some genuine Christian writer to read; A. W. Tozer, Alistair Begg, D. Martin Lloyd-Jones, Thomas Brooks, Sinclair Ferguson, Charles Haddon Spurgeon, Thomas Watson, William Gurnall, John Owen, J.C. Ryle, George Smeaton, T. J. Crawford, John Murray, James Bannerman and Thomas Goodwin to list only a very few. Go to the audio sermons link on the right hand sidebar and begin listening to sermons given by A.W. Tozer. Read the sermons and works of D. Martin Lloyd-Jones, and Charles Haddon Spurgeon for sound doctrine and true Bible teaching by men of God. Turn from unsound doctrines, false teachers and all the deadly heretical beliefs! I sincerely pray this for all finding themselves in this place today. I beseech any individual out of sincere concern for your spiritual life and well-being, of love, with your eternity in my heart and mind not anything of myself or for my glory — but for your eternity and walk with the Lord, who might be confused. Following unsound doctrines. Following false teachings. Attempting to appease and please the world while thinking that can be accomplished and still be a child of God’s and a disciple of Jesus Christ — please turn from these ways, this thinking. Turn to God, Jesus, the Holy Spirit, the complete inerrant living word of God. Pray! Develop a sound and healthy private prayer life not praying amiss. Seek the Lord and His ways which are wonderful and lead to life. The ways of this world and those of unsound doctrine lead to death. Find the awe, the wonder, the mystery and pray for increased faith, increased wisdom and strength. Begin to learn what putting on the full armor of God is and means and then put on your full armor of God and never remove it or allow it to become neglected in this constant spiritual war we are engaged in every second of every day.